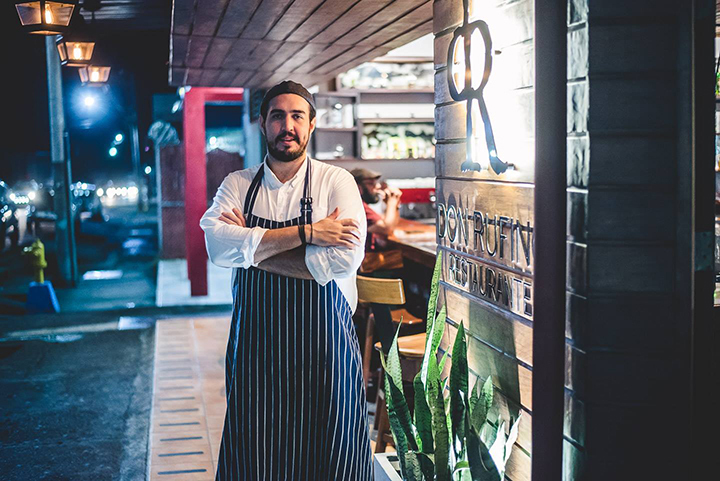 Santiago Fernandez is a Costa Rican chef and currently Ambassador of the Sustainable Costa Rican Gastronomy. Santiago loves the contemporary cuisine fusion with Costa Rican traditional gastronomy; specialized in fine and healthy local ingredients. 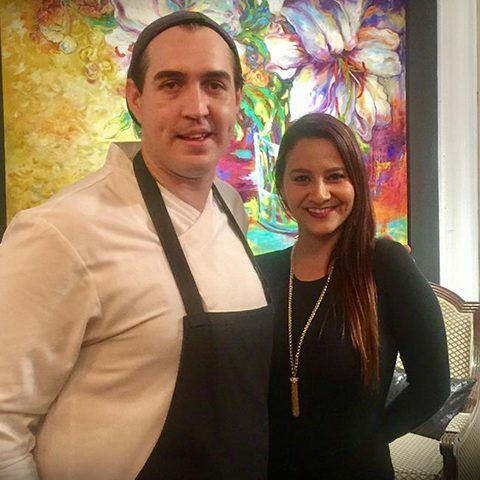 Recently, he was selected to represent Costa Rica at one of the most prestigious gastronomic events in Europe: Xantar 2017, in Galicia, Spain among with staff from the Costa Rican Tourism Board, the Costa Rican Restaurants National Chamber (CACORE) and his team from Don Rufino Restaurant. 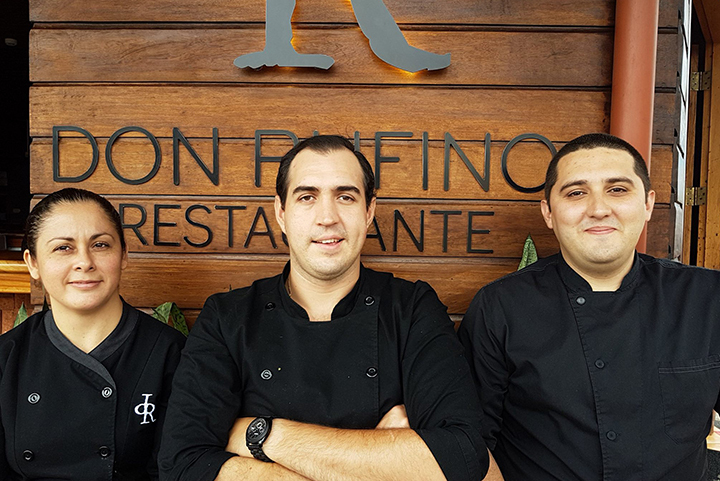 Santiago has worked as well at International Gastronomic events with Travel Magazine, Gourmet Magazine, Penfolds Winery Australia, Victor Churchill Premium Quality Meats among others. 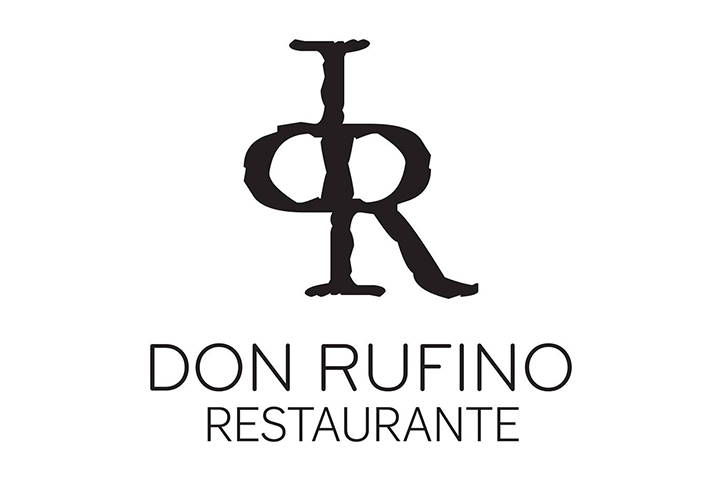 After wonderful years of working and learning at Top kitchens in Spain, Dubai and Australia, Santiago has been working the last years as Executive Chef at Don Rufino, an award winner contemporary restaurant located in La Fortuna, offering a ‘Farm to the table’ concept. 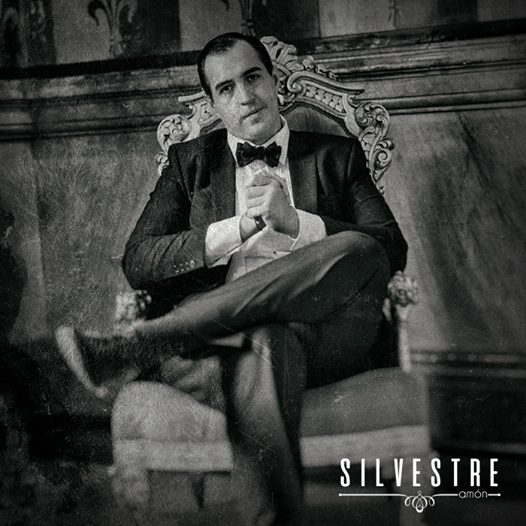 Currently, he is preparing amazing surprises to delight his clients for the big opening of his new project: Silvestre Restaurant, located at the aristocratic Barrio Amón in San José on coming August 24th. 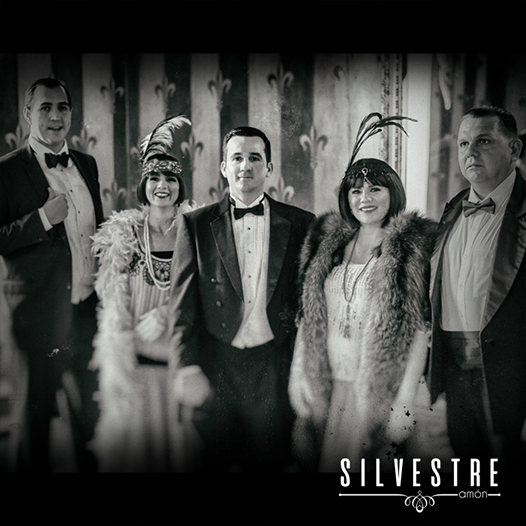 Located in an exquisite ancient house built in 1860, Silvestre has an elegant and magical concept integrating Costs Rica’s history and culture as part of a memorable experience, hosted by Santiago and his amazing staff. I had one of the Best Gastronomic experiences, tasting the Costa Rican Menu the night of the Pre-opening event. 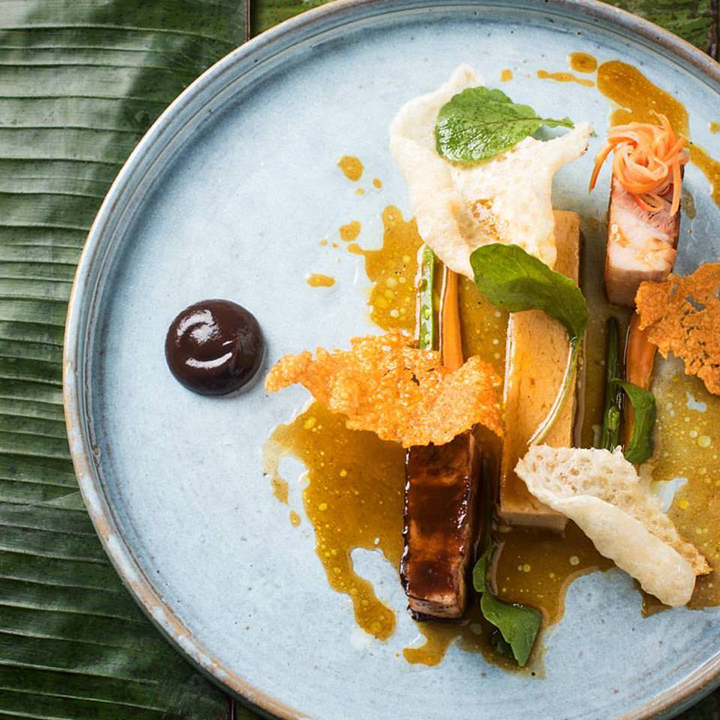 For this original menu, Santiago selected 5 Costa Rican typical dishes and gets inspired, to create and offer impressive culinary masterpieces. Each one of the dishes tells or represents a local Costa Rican tradition and share part of our culture through the most beautiful details. 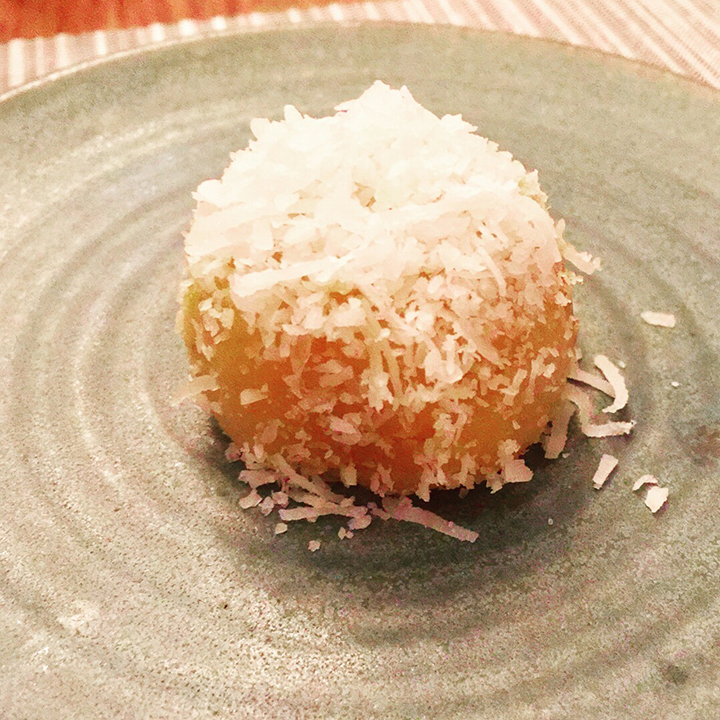 The first appetizer was looking outside as a cajeta, a traditional Costa Rican dessert, but inside was made of potato so it taste salty and was sparkled by coconut. Great fusion as a result. I get obsessed with this entrée’s presentation. 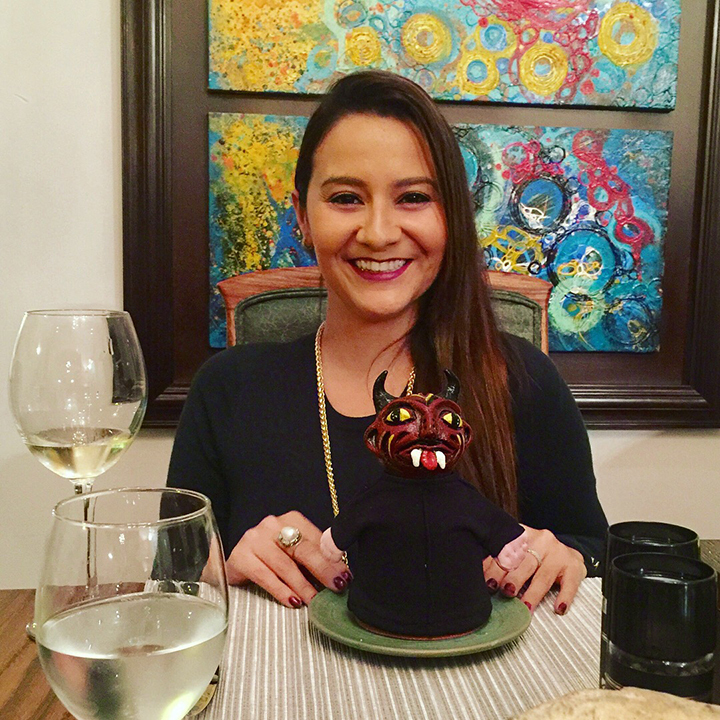 It was covered by a beautiful crafted representation of the DEVIL, a typical character of Costa Rican masquerades. In Costa Rican popular feasts, it doesn’t matter if it’s in civic or religious festivities; masks of different characters with colorful costumes decorate the ambience of Cartago, Escazu, Barva de Heredia and other cities in the Central Valley. * Since 1996, October 31st in Costa Rica is called Day of the Masquerade. 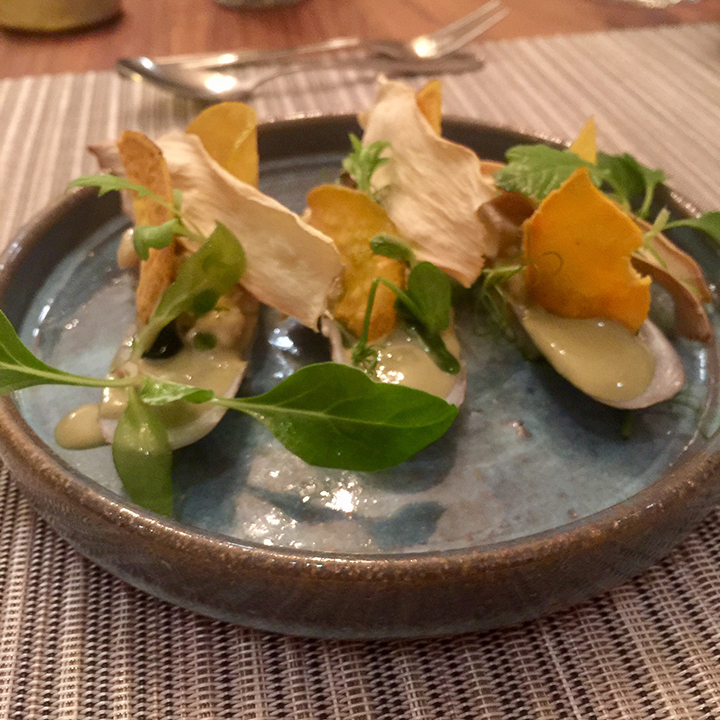 A fresh dish made of exotic fishes, lemon and some secret ingredients. 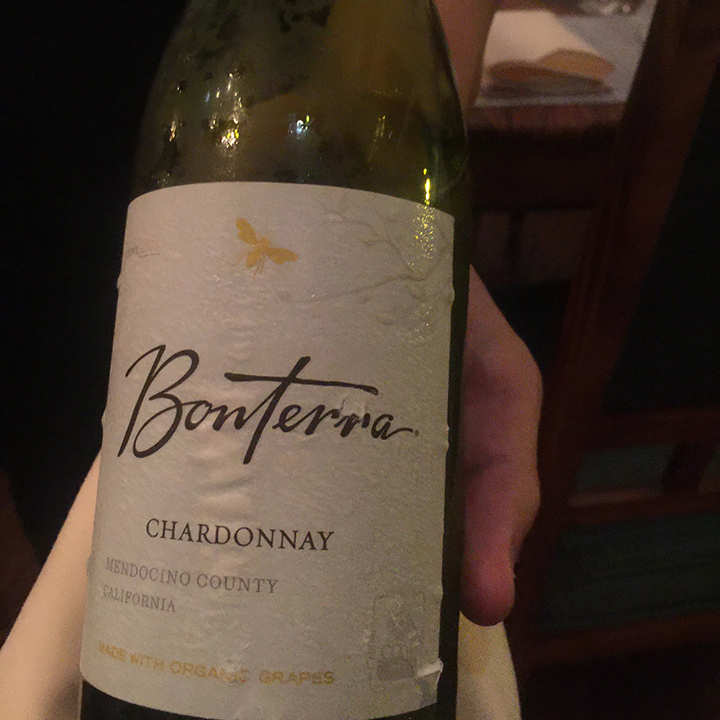 Wine: Bonterra, Chardonnay from California. 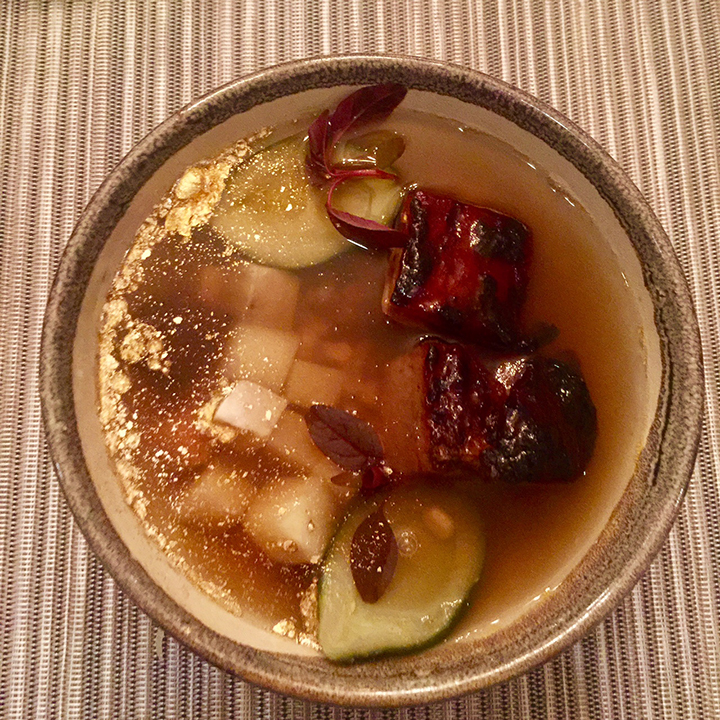 The traditional soup made of vegetables and meat but sparkled with a fancy golden detail. 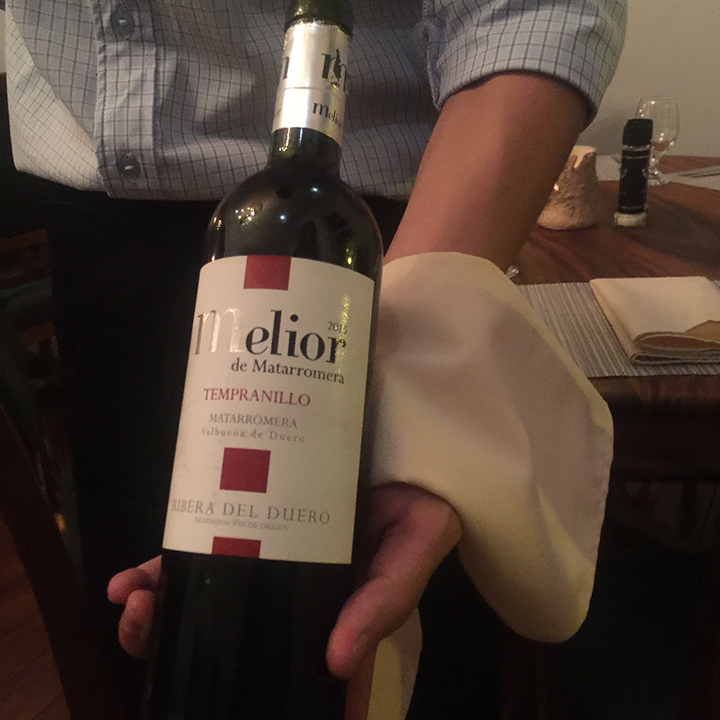 Wine: Melior de Matarromera, Tempranillo. A super glamorous presentation of the traditional Costa Rican Christmas dish " tamales" with a fantastic prune sauce. Wine: we repeat here Melior de Matarromera, Tempranillo. The UNESCO World Heritage has granted protection of mysterious and exotic stone spheres found in indigenous territories in the Southern of Costa Rica. 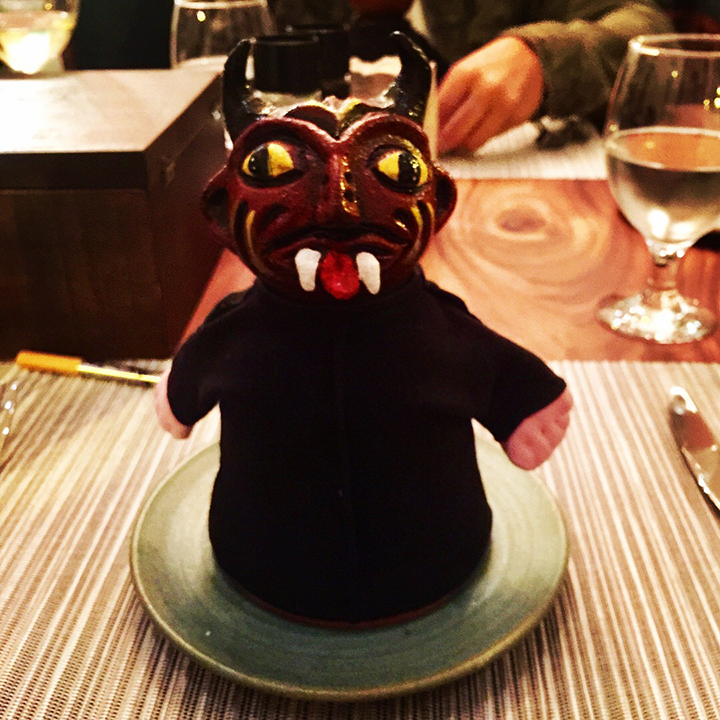 Santiago decided to represent them on one of the most delicious chocolate desserts I've ever taste! 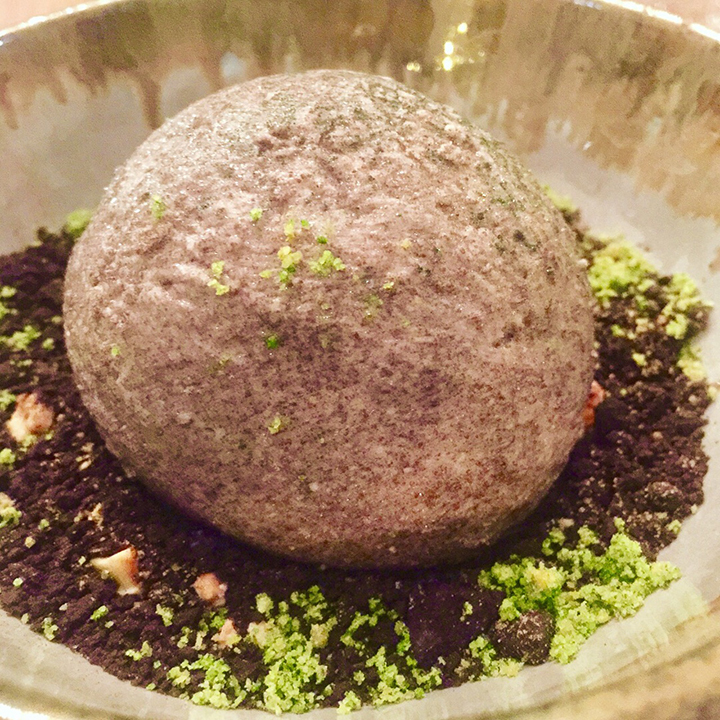 Special ingredients as guayaba, maranon butter and spearmint are part of this exquisite dessert. 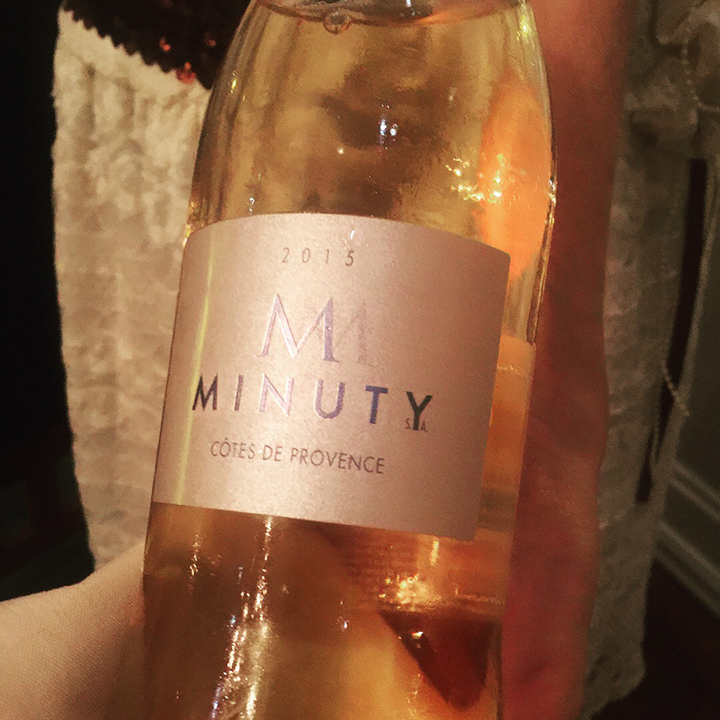 Wine: don't miss this fabulous dessert without your Minuty Rosé Wine from Cótes de Provence. We closed the night with a lovely surprise: a beautiful "giganta" or a giant lady from our traditional masquerades, that symbolizes the opulent ladies of the Colonial era in Costa Rica. 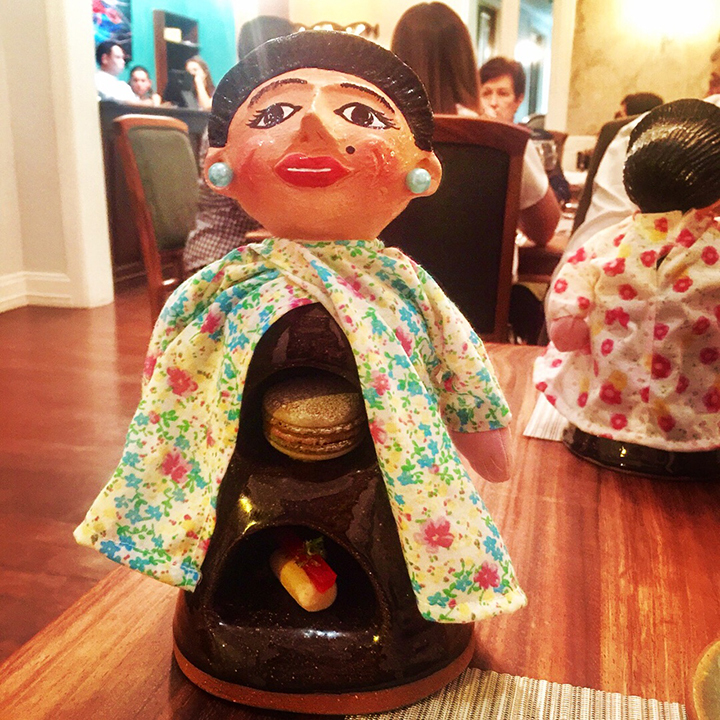 Inside her, there were a delicious sweet looking as ‘’pejibaye’’, a macaroon and traditional cajeta, aren’t these details so perfect? 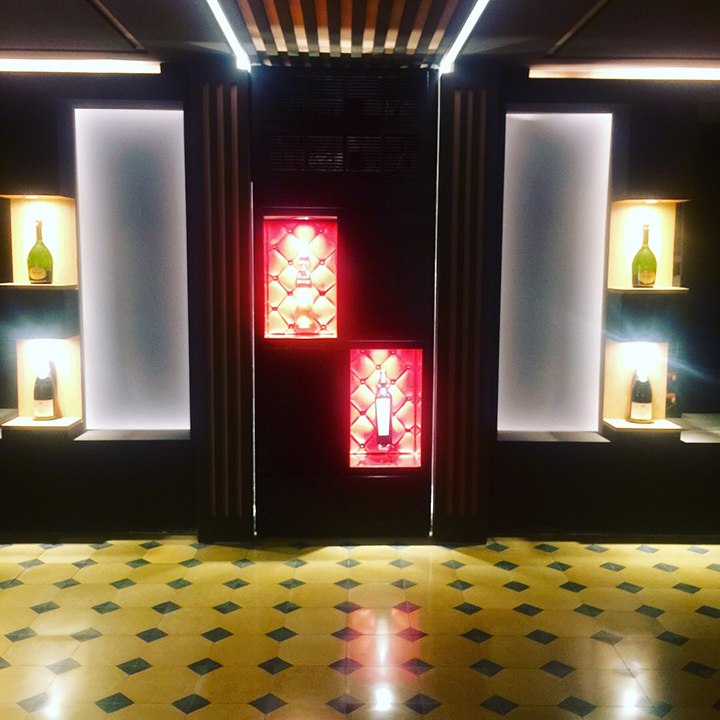 At the end of the dinner, Santiago gave me a tour around the precious house, visiting the kitchen, his amazing staff, the meeting room, the elegant wine cellar and the terrace. 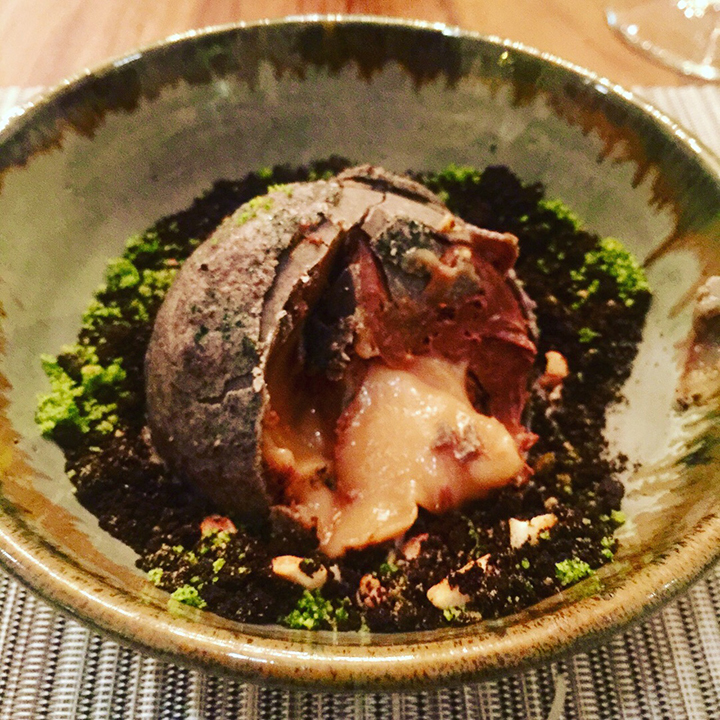 It is impossible to don't get obsessed with the charm of Restaurant Silvestre; its Costa Rican owners really took care of every single detail and you can feel here the high passion flowing in the air! 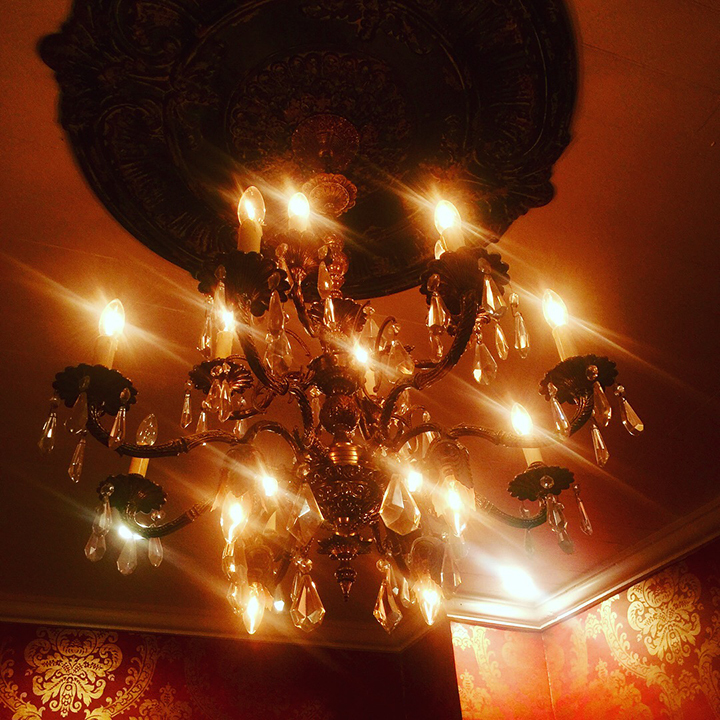 This is of course a MUST visit restaurant while you are visiting San José! Seasonal and Local ingredients: Santiago prepare his menu thinking of the local and seasonal ingredients, in order to support local suppliers and get advantage of the delicious fruits we have at every season. 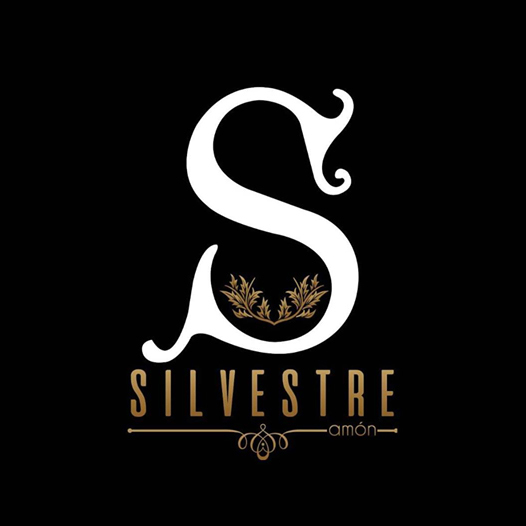 Integration of Culture: is fantastic how on each detail of the house and the menu of Silvestre is integrated de Costa Rica history and culture. Conservation: Santiago also has an alliance with Mar Viva, in order to be aware of endangered species that should not use in his recipes, promoting the conservation. 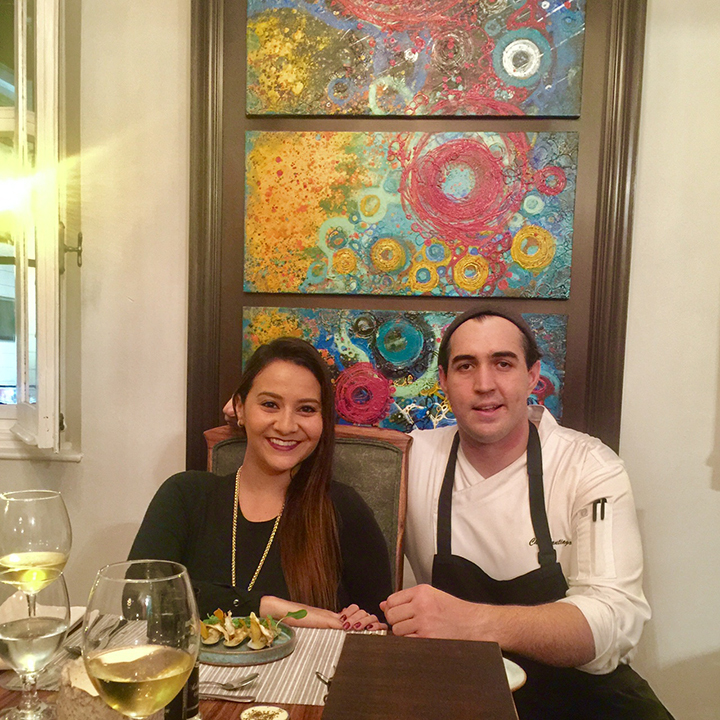 Part of my passion is to share with you fantastic successful stories and tips of brilliant Costa Rican Chefs, that promote authentic gastronomy and integrate healthy and sustainable elements at their kitchens. Who is going to be our Chef # 3 in this Hot list? Stay tuned!